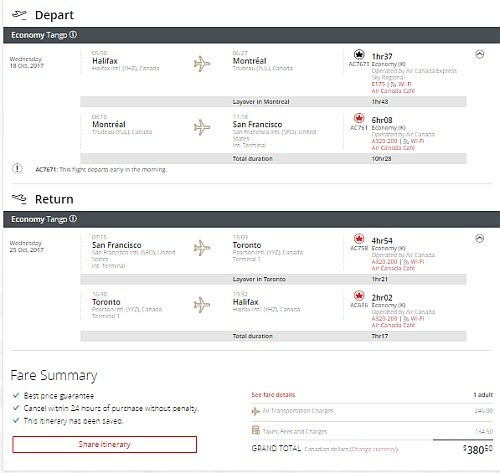 Air Canada has dropped the price of their fall flights from Halifax to San Francisco, California down to $380 CAD roundtrip including taxes for fall and winter travel. The flights have one stop each way in Montreal or Toronto. This is 30% below the typical best roundtrip prices from Halifax to San Francisco. 3. Click through from Google Flights to the Air Canada website to make the booking. 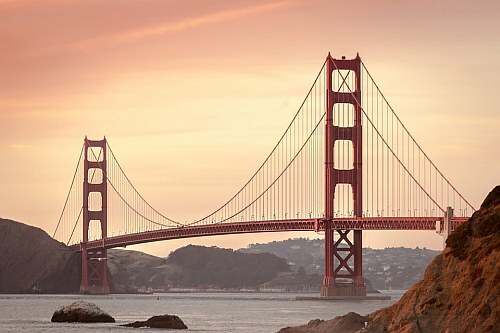 halifax, yhz, san francisco, california, sfo, united states, flight deals, air canada and north america. 2 Responses to "Halifax to San Francisco, California - $380 CAD roundtrip including taxes"
It's funny, google will show $381 for example from Oct 31-30 on the calendar, but then the price shoots up to $531 when you select it (?) Still good but not as good. Ok, you have to play with the duration setting to get the cheapest price.